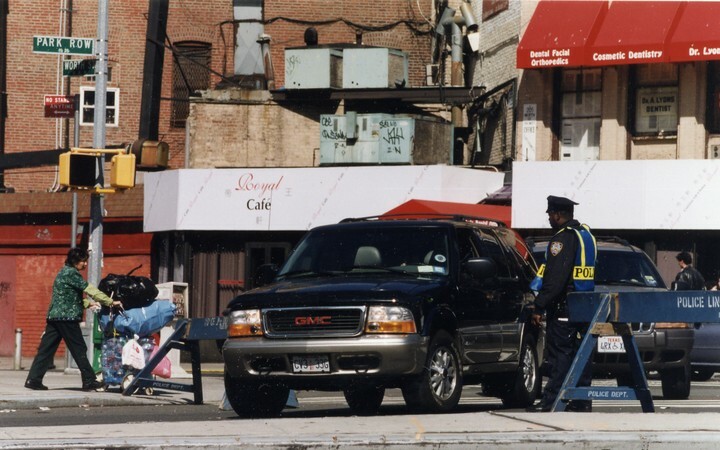 Police barricades at Park Row on Chinatown's Chatham Square. Photo © Corky Lee, September 2001. 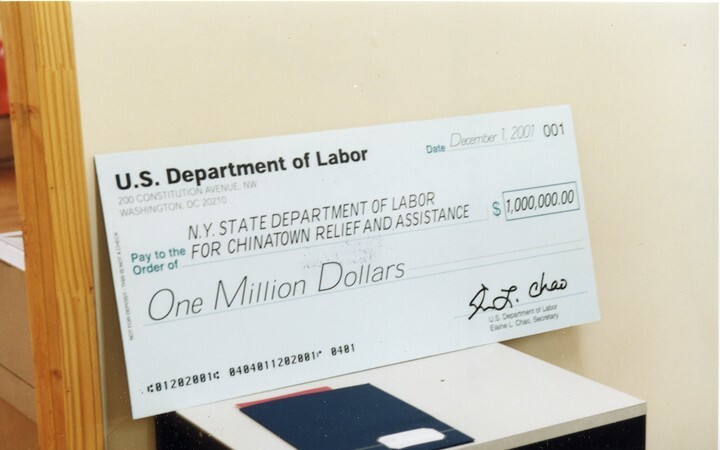 One million dollar check for Chinatown relief presented by Secretary of Labor Elaine L. Chao on her visit to the Chinatown Manpower Project. Photo © Corky Lee, December 1, 2001. 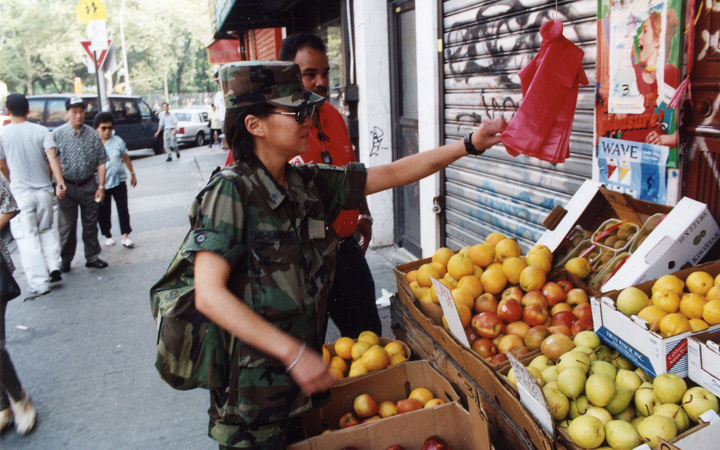 National Guard soldier on her way to visit her parents in Chinatown, before being shipped out for duty. She said it may be a long time before she would get to see them again. Photo © Corky Lee, September 15, 2001. 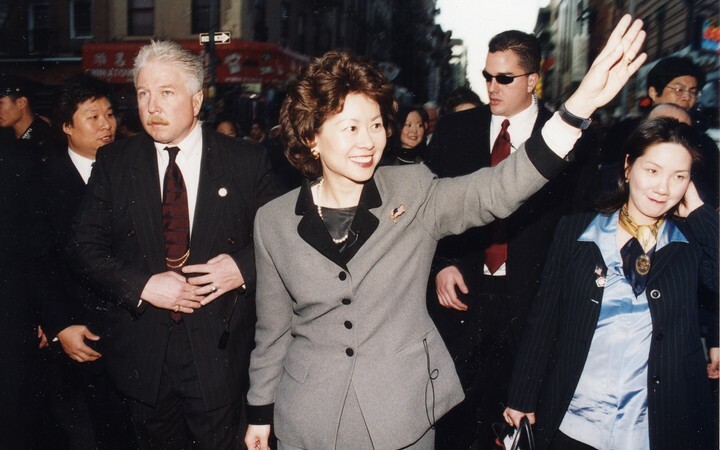 Secretary of Labor Elaine Chao visits Chinatown after 9-11. 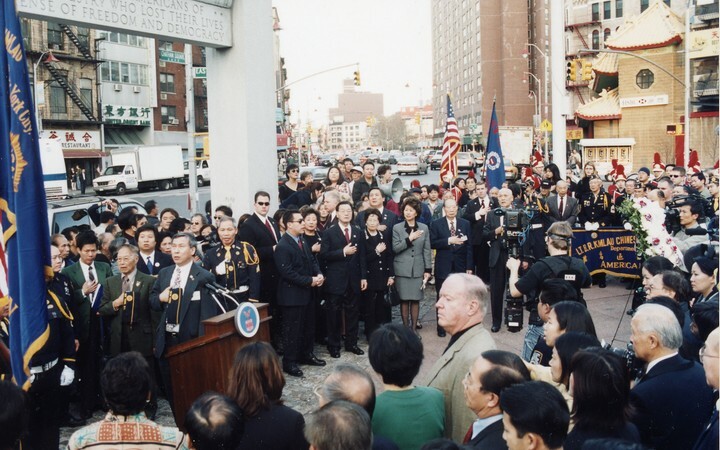 American Legion Ceremony with Secretary of Labor Elaine Chao at the Kim Lau Memorial Arch in Chatham Square. 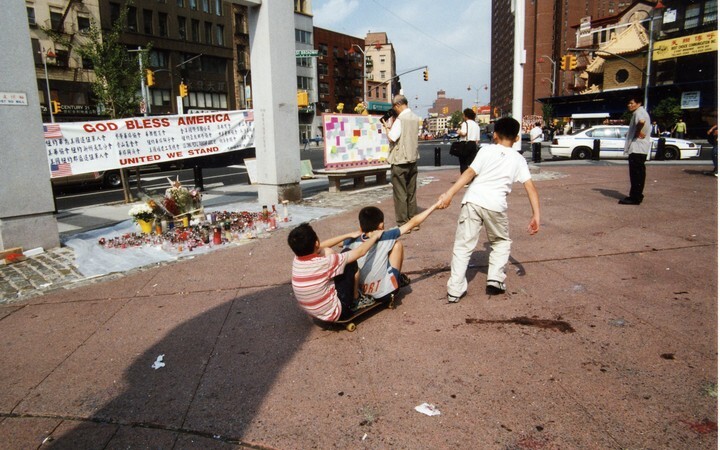 Children at the 9-11 Memorial under the Kim Lau Memorial Arch in Chatham Square. 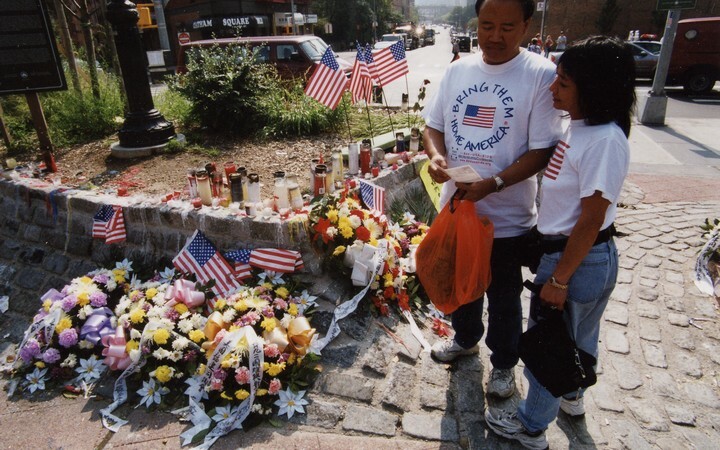 Visitors to a 9-11 Memorial. Photo © Corky Lee, 2001. 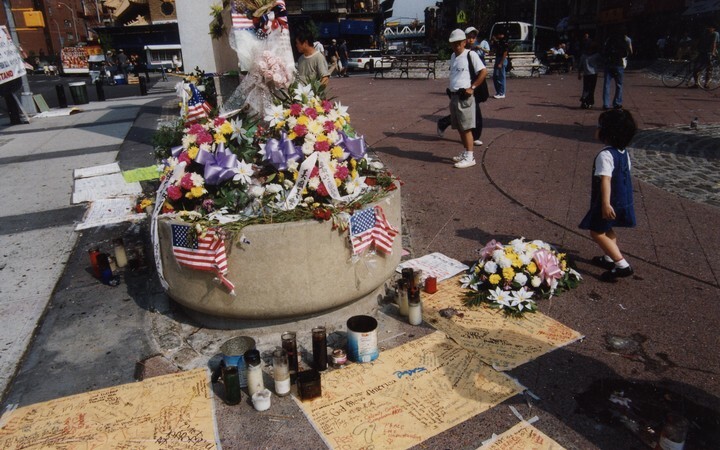 9-11 Memorial at Chatham Square. 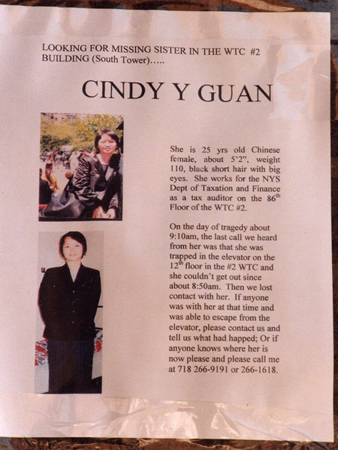 Missing person poster for Cindy Y. Guan. 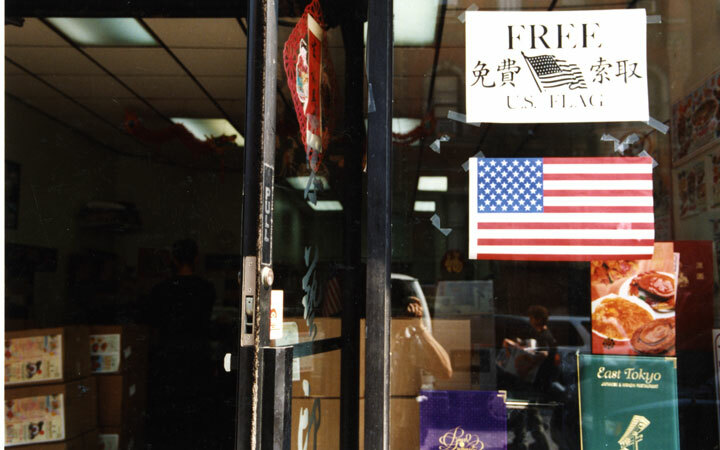 Chinatown printing shop that produced American flags free in the days following 9/11, Market Street. Photo © Corky Lee, September 16, 2001.